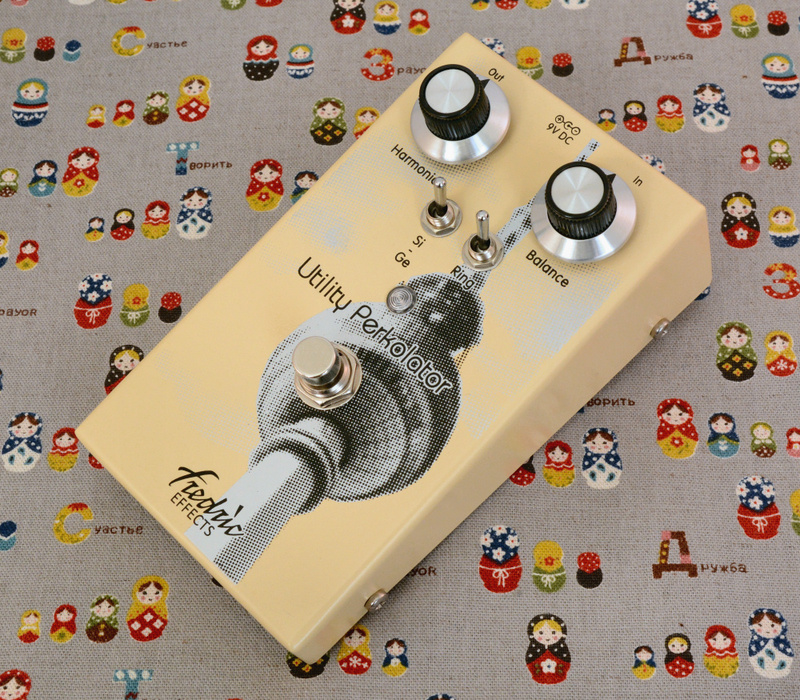 The Utility Perkolator is our latest version of the fabled Interfax Harmonic Percolator from the 1970s. The Harmonic Percolator is a simple yet fascinating circuit which readily lends itself to tweaking and improvement. 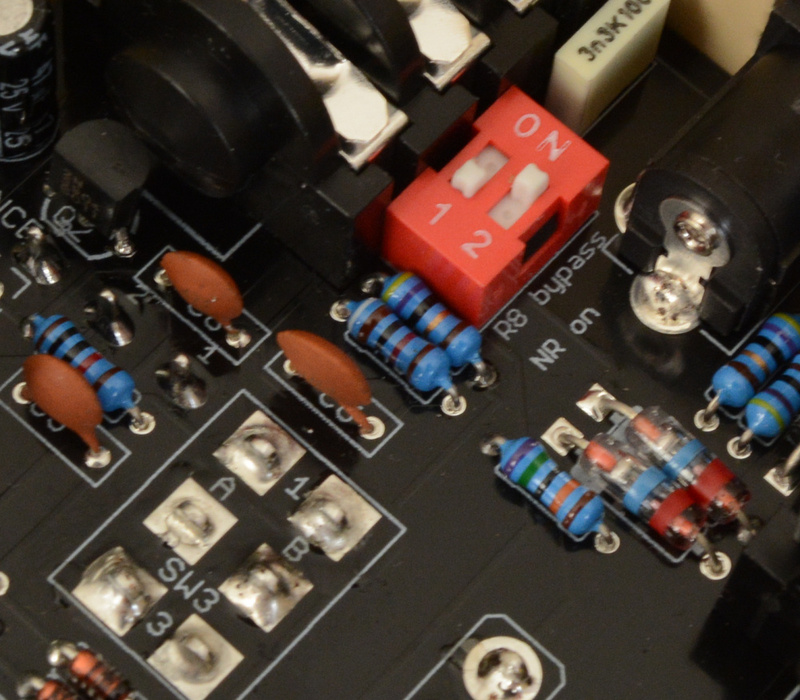 We already build a faithfully vintage correct version of the Harmonic Percolator, however the Utility Perkolator takes this circuit in another direction. 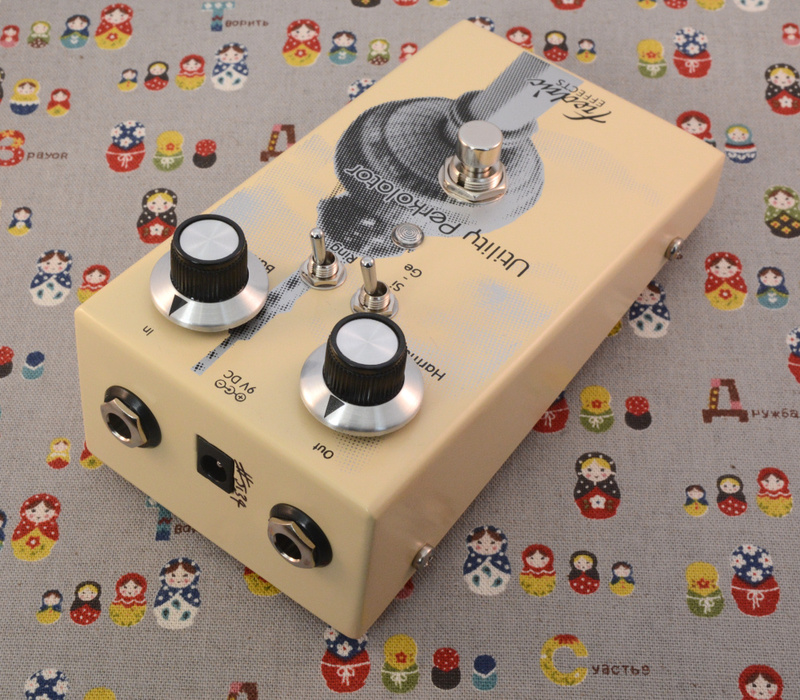 Using higher gain, lower leakage Russian Germanium transistors, and a low pass filter which only removes the high-end hisses and glitches associated with the HP, the Utility Perkolator has a considerably lower noise floor. The result is a tighter and more controllable effect which is still capable of producing the classic Harmonic Percolator sound. We believe this is the best sounding Harmonic Percolator you can buy. 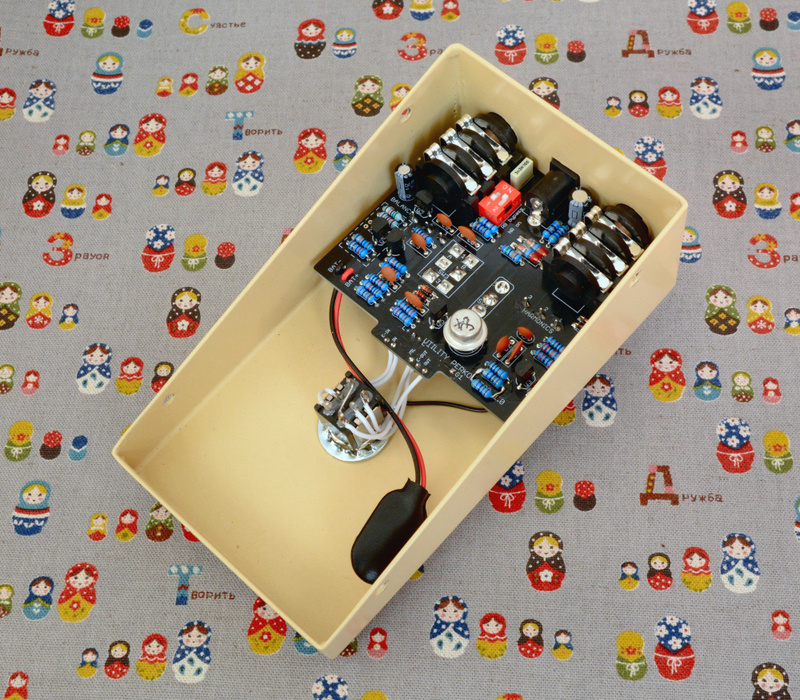 In this new Utility Perkolator version we've added a switchable ring modulation circuit for splattery octave effects, and some DIP switches on the circuit board to remove the low pass filter if required.